The Ballistic range is ION's premium line and creme de la creme of water footwear. NEW for 2018 - Knit Tex: an abrasive resistant fabric on the foot span for tight fit and long lifespan. Shop Note: The booties are not like Vibram's these booties are like a traditional external split toe booties where your big toe is seperate from the rest of your toes in order to prevent "bootie roll over"
If you're looking for exceptional design with maximum protection then the BALLISTIC is the line for you. With support and stretch in all the right places, not only do ION Ballistic Shoes provide supercharged feedback even through layers of neoprene but are also enhanced with well thought out and cleverly designed features. Ballistic Sole: The famous and unique Aramid sol protects against razor sharp reef, mussels and other abrasive objects. Knit Tex: a NEW abrasive resistant fabric on the foot span for tight fit and long lifespan. 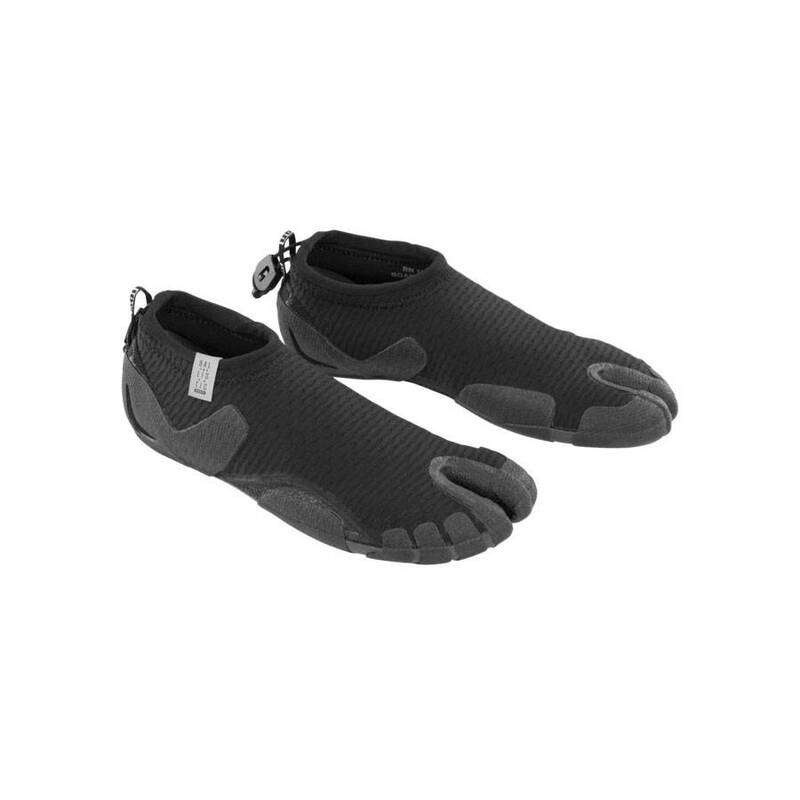 Wrap_Up Sole: the usual flat sole evolves and wraps around the foot for a snug fit. Segmented Sole: Further development oft he creative and strategic cuttings providing a good mixture between support and flexibility. ES - External Split Toe: proven since years to eliminate spongy feeling within the toe area.